My husband and I were lucky enough to have a babysitter the other day. We were so excited to have some time to ourselves and decided to go out to our favorite Japanese/Thai restaurant Thai Moon. Thai food in general is great for people with Celiac Disease because it is naturally gluten-free. I had always loved this particular place because they had a gluten-free menu, unfortunately they had a change in management and no longer offered a separate Gluten-Free menu so there was I was back to having to ask about individual items and guessing. 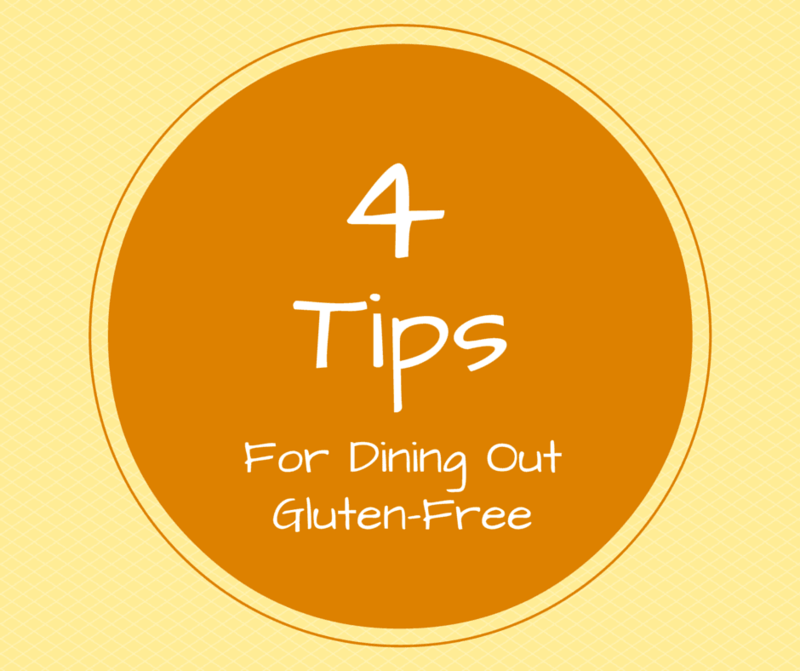 Dining out can be stressful when you are gluten-free. Try out these tips to make the experience less stressful! 1) Look at the menu before you go! 2) Call ahead and ask questions. 4) Watch out for common areas of cross contamination, such as the deep fryer.